JOHN DEERE MODEL A, AH, AN, ANH, AO, AR, AW, AWH. 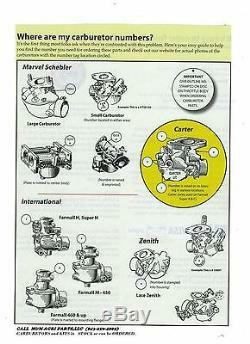 This carburetor kit only the models listed above w/ the matching Marvel DLTX number on the respective carburetor. 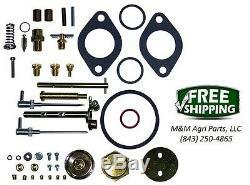 The item "Carburetor Kit John Deere Model A AH AN ANH AO AR AW AWH Tractor DLTX71 DLTX72" is in sale since Thursday, January 24, 2019. This item is in the category "Business & Industrial\Heavy Equipment, Parts & Attachments\Heavy Equipment Parts & Accessories\Antique & Vintage Equipment Parts". The seller is "mmtractorparts" and is located in Hartsville, South Carolina. This item can be shipped worldwide.